From Children’s University to academic conferences – there is a wide variety of events held on Campus WU every year. All these different events have one common goal: giving as many people as possible access to state-of-the-art knowledge. For two weeks in July, WU belonged to the kids, who came to Campus WU for first-hand, kid-friendly insights into business, economics, and law. In November, WU hosted the 2016 Sparkling Science conference. Sparkling Science is a program sponsored by the Austrian Federal Ministry of Science, Research and Economy intended to strengthen cooperation between universities and schools. 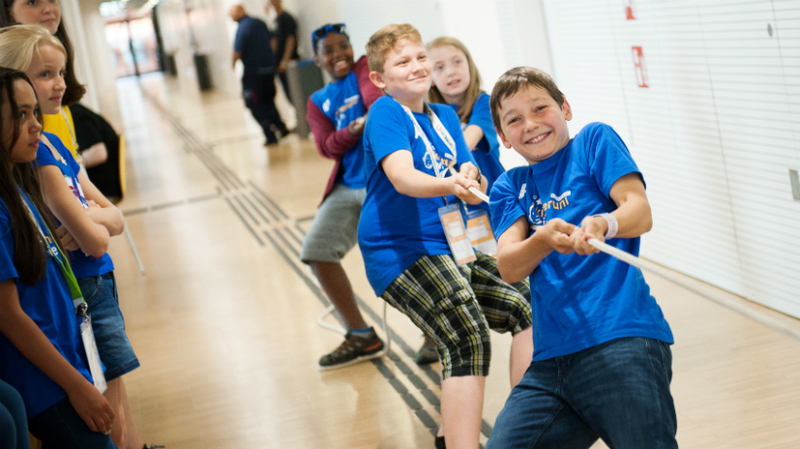 The high point of the conference was the Sparkling Science Slam, where schoolkids had the opportunity to present the results of their own research. During the conference, the program’s success stories were presented and participants discussed new models for cooperation between science, schools, and society. WU has a long tradition of holding public lectures and panel discussions. It’s important to the university to present an academic perspective on current social, economic, and political issues and to invite the public to enter into a dialog with researchers, experts, and guests on the topics of the day. Our two popular lecture series – Open Minds and Wirtschaft Wissenschaft Unplugged – have been very well received over the past few years and offer interesting discussions with well-known experts. In the spring, moral theologian and physician Matthias Beck, WU Professor Rupert Sausgruber, and advertising executive Michael Nitsche met for an interdisciplinary Open Minds session on “Moderation: Shackle or Salvation?” Moderated by WU Professor Gerlinde Mautner, the discussion focused on whether shortages or surpluses are more likely to cause economic, political, and social problems. The “golden mean” is hard to find, but crucial: Moderation is the key to long-term growth. At Wirtschaft Wissenschaft Unplugged, managers and professors face off over current economic issues. After the panel discussion, the audience has the opportunity to enter into conversation with the experts. The topic in June was Austria’s entry into the Eastern European markets 25 years ago and whether this has proven to be a blessing or a curse. Arnold Schuh, head of WU’s Competence Center for Emerging Markets & CEE, and Elisabeth Stadler, CEO of the Vienna Insurance Group, came to a positive conclusion: Austria’s economy has definitely benefited from the activities in the CEE region. The event was held in cooperation with the Austrian daily Die Presse and the Erste Group and moderated by Rainer Novak, editor-in-chief of Die Presse. As a public university, it’s important to WU to do its part to help solve today’s social and economic problems. To this end, we launched a new series of public discussions in the fall: WU matters. WU talks. WU matters. WU talks. is a lecture series intended as a platform for the intensive exchange of ideas and active discourse between science and society. Regularly scheduled discussions and lectures put socially and economically important topics in the spotlight. 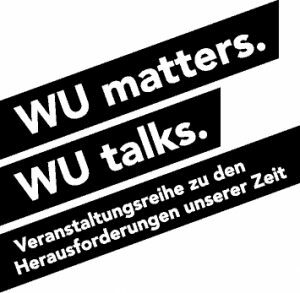 The already well-established series Open Minds and Wirtschaft Wissenschaft Unplugged have now been integrated into the WU matters. WU talks. format. The first event in the series was an expert talk held in November. Günter Thumser, president of Henkel CEE, and Arnold Schuh, head of WU’s Competence Center for Emerging Markets & CEE, discussed the topic “Going East, Growing East,” moderated by Georg Wailand, editor-in-chief of the business magazine Gewinn. Rector Edeltraud Hanappi-Egger also presented Günter Thumser with the 2016 WU Manager of the Year Award at the event. WU’s November Researcher of the Month Günter K. Stahl talked about why managers become corrupt at the public lecture series Wiener Vorlesungen. His talk was based on the results of his own comprehensive research on responsibility and leadership. In late November, beauty experts took the stage. “Beauty: An Ideal Between Culture, Commerce, and Career” was the topic of a discussion between editor-in-chief and publisher of the magazine “look!” Uschi Pöttler-Fellner, WU Professor Johannes Steyrer, and plastic surgeon Artur Worseg. WU Professor Gerlinde Mautner moderated the talk, which focused mainly on the question of whether or not there is a universal definition of beauty and on the advantages attractive people have in professional life. The head of WU’s Institute for International Economics and Vice-Rector for Financial Affairs Harald Badinger and Karin Sommermoser, CFO of the Zumtobel Group, met in December to discuss the Brexit situation. Moderated by Rainer Novak, editor-in-chief of Die Presse, the experts discussed short- and long-term scenarios of how Brexit could affect Austria and the EU. The year’s final event focused on education. A panel of prominent experts featuring WU Rector Edeltraud Hanappi-Egger, Education Minister Sonja Hammerschmid, and author and teacher Niki Glattauer discussed how to improve social mobility in the Austrian educational system. Panel members agreed that full-time schools, integrative campus models, and pro-higher-education initiatives are key measures to help ensure equal educational opportunities for all. The series will be continued with further panel discussions and public lectures in 2017. 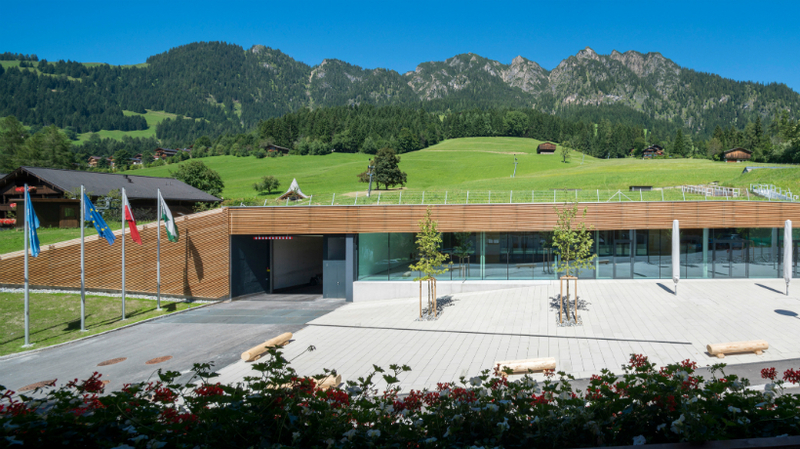 The European Forum Alpbach is an interdisciplinary platform for science, politics, business, and culture. Since 1945, it has provided a place for key figures from academia, politics, business, the arts, and civil society to discuss the most important sociopolitical issues of our times. We develop solutions for concrete economic problems based on the results of our research. The knowledge we generate is meant as a contribution to serious, evidence-based discourse with relevant stakeholders. To this end, we organize conferences to bring researchers together with other economic and political experts for an intensive exchange of ideas, knowledge, and experience. Growth in Transition is an international discussion platform focusing on questions related to growth, prosperity, and quality of life. WU is an active member of this initiative. In 2016, WU’s Competence Center for Sustainability organized the 3rd international Growth in Transition conference. The conference brought researchers together with members of the business and NGO communities under the motto “How constraints make us grow: Society in transition.” The goal of the conference was to discuss new ideas and best practice examples, and to work together to draft a concept of how tomorrow’s society could be. For one day each year, WU’s Competence Center for Nonprofit Organizations and Social Entrepreneurship puts the work of nonprofit companies in the spotlight. The 2016 NPO Day focused on the theme “State of Emergency! The Refugee Crisis and Learning from the Unexpected.” The recent refugee crisis has once again clearly demonstrated the need for non-governmental organizations, without whose support the situation could never have been handled successfully. Experts from the NPO community and researchers discussed how to best manage complex crises from various perspectives. WU is a leading source of expertise and an opinion maker on the topic of advisory boards, and invites Austria’s advisory board members to meet with WU researchers once a year at the annual Supervisory Board Day. The 2016 event focused on the relationship between the board of directors and the advisory board. The Vienna Strategic Forum (Wiener Strategieforum) is an exclusive platform for knowledge transfer between entrepreneurs, top managers, and researchers in the field of innovative strategic approaches. Participants had the opportunity to draw inspiration from internationally leading thinkers in strategic management and their next practice examples taken from business and research. The 2016 forum dealt with a wide range of topics, including strategies for the development of Austria and Europe, the future of mobility and the challenges and business potential involved, and disruptive innovation as a business model innovation strategy.